FantasyDraft, as you will see from their homepage, is on a mission to put “#PlayersFirst.” Their website is simple to use, with a clean interface that doesn’t overcomplicate things. They also have a pretty neat referral program which we will discuss in a later section of the review. In any case, if you’re thinking of joining their website, we have a FantasyDraft promo code you can use for some goodies. Without further ado, let’s analyze what FantasyDraft brings new to the table in the over-saturated Daily Fantasy Sports (DFS) market. Professional athletes like Drew Brees and Clayton Kershaw are playing, so there must be something to it, right? Your FantasyDraft promo code can go towards cash prizes in most of the main fantasy sports categories. These include NFL, NBA, NHL, MLB, and PGA. They might add others in the future, but for the moment it’s a decent enough selection for most players out there. Sticking true to their “mission to provide a fun and fair experience for all players,” they have beginner and intermediate-only sections. This means new players won’t risk wasting their FantasyDraft bonus code on veterans. Intermediates will also benefit from this, but can also feel like there’s an actual challenge by playing against others on equal footing. Of course, there’s also the option of creating your very own custom games. With their flexible lineups, you can choose from a much wider variety of athletes to make up your dream team and defeat others. Good news abounds at FantasyDraft. Plenty of other services such as sportsbooks, casinos, and other DFS providers expect you to deposit a minimum sum in order to play or be eligible for bonuses. Well, here you can forget about that. 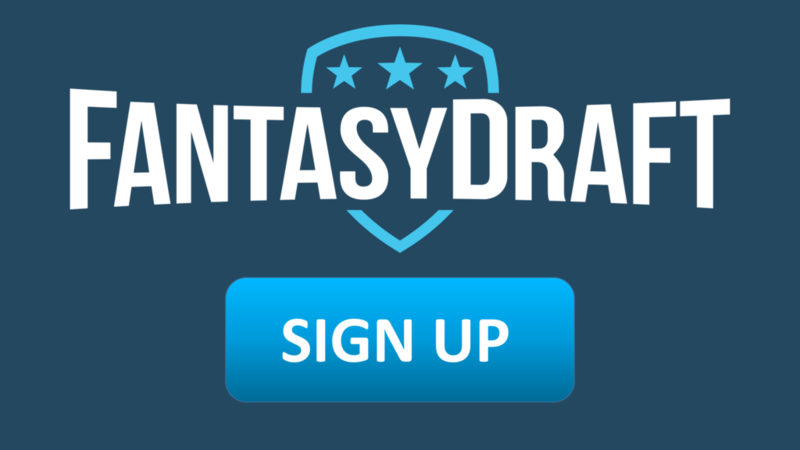 You can even just claim your FantasyDraft promo code and be on your way to win some cash. They offer clients the opportunity to play for free, just to see how well their services perform. The only fee you’ll be paying is the entry fee for the various contests provided on the website and by other players. What’s more, they offer their own special type of currency called FantasyCash. You can use it to pay contest entry fees and win real cash based on that. Sure, you won’t be able to withdraw any FantasyCash yourself, but any real money you win – it’s yours. Unfortunately, that does mean contest fees paid with FantasyCash won’t earn you commissions using their special referral program. More details on that in the Bonuses section. In the end, you can’t complain about that policy – it’s a bargain as it is, anyway. Mobile bettors can also use their FantasyDraft promo code on their iOS and Android app(s). Just as their browser version, the apps were built so they don’t overcomplicate things. After all, your attention should be concentrated on your team picks and competitions, not working out how everything functions. It’s very easy to filter out what games you want to participate in by just clicking on the filters at the top. Otherwise, the search bar works just as well if you know what you’re looking for already. The website doesn’t feel cluttered with unnecessary functions and it’s a cinch to navigate and start playing. The player cards offer all the info you might require. Besides their season stats and splits, you also have a nice summary of pending matchups, as well as news about the athletes and their teams. The FantasyDraft bonus system is a bit different than other DFS, and indeed other betting sites out there. Usually, these kinds of websites provide a bonus on your first deposit. In this case, you get a 4% cashback bonus on all entry fees you pay. This feature is available for 90 days after your first payment, for up to $5000 in entry fees. They really have a nice deal going there. But your FantasyDraft promo code should be used for their 6 Degrees of Pay? referral program. It can only be found on FantasyDraft, and they claim you would be basically “build a business while having fun playing fantasy sports.” You’ve been waiting for this moment ever since we’ve mentioned it in the beginning, so here’s how it works. Let’s say you refer a friend to their website. You will be earning a 10% commission on every entry fee they pay (with real cash, not FantasyCash). That’s your “first degree” referral. Your friend enjoys what they offer, so he sends out another invitation. Now he’s getting a 10% commission as well. But, you’re also getting a 10% commission from the third friend, as well! You know what the best part is? You gain commissions from any other friends these degrees refer to the website. In their very informative video, they mention that by referring 5 people, who refer another 5 people each (and so on until the 6th degree), you could end up making commissions from 19530 different people! 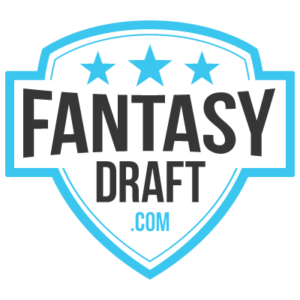 Claim Your FantasyDraft Promo Code Here! So, what are you waiting for? Don’t you want to have fun while earning some serious cash? Get your friends on board. Collect your 4% cashback bonuses, as well as any commissions from FantasyDraft’s awesome referral program, today!